Tax-free savings accounts were introduced in 2009 and have amassed $74 billion in assets across 10 million accounts since then. They are a flexible way to save money for everything from a first house to a new car to your retirement nest egg, say financial advisers. Every year, as the March 1 RRSP deadline approaches, Canadians are bombarded by last-minute reminders urging them to make a contribution, but it's good to keep in mind that there are other options when it comes to saving money for retirement. The most popular alternative to an RRSP is probably the tax-free savings account, or TFSA, which the government introduced in 2009 and which many financial advisers say is the better option for middle- and low-income Canadians who want to put aside some of their income. In the five years since they were introduced, TFSAs have grown in popularity, and today, more than 11 million Canadians have one. Of the people holding TFSAs in 2012, 44 per cent had made their maximum annual contribution, according to a poll released by Bank of Montreal (BMO). In 2013, the annual contribution limit increased to $5,500 and remained at that level for 2014. The 2015 federal budget immediately increased the maximum allowable contribution limit to $10,000 a year -- an amount that will not be indexed to inflation in the future. This means that if you've never contributed to a TFSA, you could deposit as much as $41,000 into a TFSA in 2015. But statistics compiled by Investor Economics show that the average account TFSA balance as of June 2013 was only $8,785. While it's apparent that TFSAs are increasing in popularity, it's less clear whether Canadians are actually using them, or fully understand how they work. According to the BMO poll, more than a third of Canadians said they didn't know the difference between a TFSA and an RRSP. "We've seen a trend upwards," said Serge Pepin, vice-president of investment strategy at BMO Global Asset Management. "Both the government and financial institutions found there was so much confusion out there. It also still appears that the RRSP remains the most used [savings] vehicle." Despite the lack of understanding that surrounds TFSAs, the numbers show that they are still attractive to income-earners. At the end of their first year of existence, TFSAs held a combined value of $17.4 billion in assets across five million accounts. By June 2013, the total asset amount had ballooned to $97.9 billion in 11.1 million accounts, according to Investor Economics. Funds can be withdrawn tax-free at anytime for any purpose from the year you turn 18 (with a SIN). The amount you withdraw in one year can be put back in a future year, over and above your contribution limit for that year. You can withdraw from your RRSP at any time but will be taxed on the amount you take out, which is why most financial advisers suggest you wait until retirement to do so, when your overall tax hit is generally lower than when you're working because you have less income. If you do make a withdrawal before your RRSP matures, you will lose that contribution room forever. If you contribute more than the limit for a given year, you incur a penalty of one per cent for each month you are over the limit. Some investments inside a TFSA have their own penalties for early termination, called back-end loads, ranging from one to six per cent. Any withdrawal from an RRSP prior to your retirement year is subject to a withholding tax at the time of withdrawal of 10-30 per cent depending on the amount withdrawn. The withdrawn amount is added to your income, and you may end up having to pay more tax on it when you do your return for the year. One way to avoid the penalty is to use the money to fund a first home or your education through the Home Buyers' or Lifelong Learning plans. CRA allows up to $2,000 in excess contributions beyond your annual limit as long as you were 19 or older during the year for which you are filing a return; beyond that, you may have to pay a penalty of one per cent per month. Up to $10,000 annually (starting in 2015) — plus any unused portion from previous years. The annual contribution limit is no longer indexed to inflation. Your personal contribution limit is based on earned income, pension adjustments and how much you contributed to RRSPs in previous years — up to a maximum contribution limit that changes each year. For the 2012 tax year, the maximum is $22,970. You can keep contributing until Dec. 31 of the year you turn 71, and after that, you can contribute to a spouse's RRSP until the end of the year he or she turns 71. Money deposited in TFSAs is not tax deductible and neither is the interest on money borrowed to invest in TFSAs. The maximum amount of RRSPs you can deduct from your taxes in a given year is equal to your contribution limit. You can choose to deduct less and use the unused portion to increase your contribution room the following year beyond the annual maximum. Any interest, investment income, dividends and capital gains earned in a TFSA are not subject to tax — even if withdrawn. Income earned is not taxed until it is withdrawn. High-interest savings account, mutual funds, guaranteed investment certificates, listed securities and other types of qualified investment products. One of the key reasons behind the popularity of TFSAs is the flexibility they offer. Money deposited in a TFSA can be withdrawn tax-free at any time, and income earned within a TFSA doesn't affect one's eligibility for federal income-tested benefits and credits such as Old Age Security, the guaranteed income supplement or the child tax benefit. Those who have a TFSA have a wide range of options for how to use the money they put into the account — from storing it in a high-interest savings account to investing it in more volatile instruments such as mutual funds, equities or listed securities. The decision of which type of investment to make with TFSA funds depends on your personal short- and long-term financial goals, says Pepin, since like RRSPs, TFSAs are just another tool that must fit within your overall investment and savings strategy. If you know that you want to save for a trip or a new car in the next few years, then the best option is to put your TFSA funds in a liquid asset, such as a savings account, guaranteed investment certificate (GIC) or a bond, Pepin said. "If it's longer-term saving, you may be able to afford to go into riskier assets that would give you the potential for higher returns," he said. People who invest money inside a TFSA don't get an immediate tax break the way they do with an RRSP contribution, but investments inside a TFSA grow tax-free. TFSAs are also good for people who are looking for alternative places to shelter money, says Judith Cane, a money coach based in Ottawa. "With the pension environment changing, from defined benefit to defined contribution, pensions aren't as rich," she said. "So, people see the TFSA as a place that isn't going to attract tax right away." The accounts can also prove useful to those who suddenly inherit money and need somewhere to put it. "I've noticed there are people who are receiving inheritances, and they may not have the room inside their RRSP to put that money — so they can put it into their TFSA, and it will continue to grow on a tax-free basis," Cane said. The flexibility of TFSAs allows Canadians to save for things other than retirement. Young Canadians in their 20s are increasingly using TFSAs to fund their first home or post-secondary education, says Jamie Golombek, CIBC's managing director of tax and estate planning. "The TFSA allows you to pay tax on your employment or business earnings at your current tax rate, which could be low, use some of those after-tax funds to contribute to a TFSA, and then withdraw the funds tax-free later in life, when you may find yourself in a higher tax bracket," he said. First-time home buyers have traditionally used the Home Buyers' Plan (HBP) to help fund their house purchase. That plan allows people to withdraw up to $25,000 tax-free from their RRSP and put it toward the purchase of a first home but requires them to put the money back into their RRSP over a period of 15 years. HBP participants must repay a certain amount each year if they don't want it to count toward their income. With the TFSA, young people and home buyers have another option. 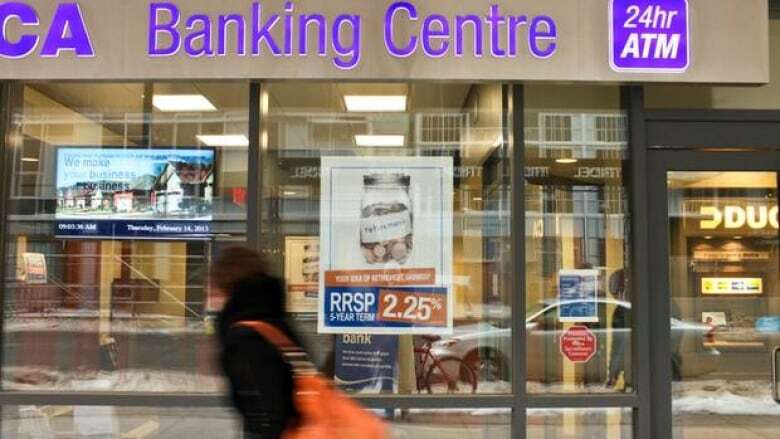 "For young Canadians with newly launched careers, RRSPs may not be the most effective route to retirement savings," Golombek said. "With an RRSP, you get a tax deduction at a low rate because you're in the lowest tax bracket due to your earnings. The money could then be withdrawn later, perhaps on retirement, at a much higher effective marginal tax rate." By contrast, withdrawals to the TFSA can be repaid to the plan at any time, following the year of withdrawal. "And unlike HBP repayments, failure to repay amounts withdrawn from a TFSA never result in tax on funds not repaid," Golombek said. An earlier version of this article implied that RRSP funds would not be taxed if withdrawn after retirement or age 71. In fact, money withdrawn from an RRSP is always taxed.